Most of us like to check some reviews before we buy something or go somewhere. It's the same with a church. We wonder what other people are experiencing or why it makes a difference for them. We get it. So we asked some of our people why they choose to spend some of their time with us. Here you go! Brooke, a young mom: I started attending church on Christmas Eve and have made it part of my routine ever since. It's an hour that I look forward to each week to ground myself, reflect on the week passed,as well as the days ahead. Also, it is a rare 'quiet' time that I get to have with my young kids during our hectic week. I get to hold their hands, listen and learn alongside them, sing together, sharing this new journey of including God in our lives. Joy & Garry (on small groups): Open discussion, scripture based, meeting & learning about everyone, casualness, praying outside, laughing. I appreciated that while we were supporting another, we were looking inward as well. Linda, a recent retiree: I loved getting to worship online at home this morning! I was touched, I was choked up, I was reflective about my own journey given the change in my life now! Terry: The vibrant faith of some of our fellow members was what first attracted us. What kept us coming back is the opportunity for spiritual growth through the Bible studies and periodic classes. People who are serious about their love of God and who seek to grow in their walk with Him are a joy to be in fellowship with because they have an inclusiveness and sense of mission. 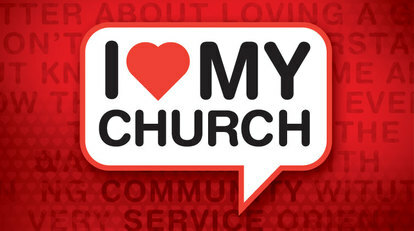 Jim: This church helps me to keep centered on Christ through worship, study and fellowship. It also provide ways for me to serve others. ​Amanda: Christ's character of showing love to ALL people, meeting people where they're at without condemnation, valuing questions and doubt, and choosing whats right over what's popular is really embodied at our church. It makes me proud and excited to be a part of it. Kate: I really enjoyed the service today. I will be doing more research on the Methodist denomination as this organization is new to me. That said, I was so taken with the website. So much of what I read I so very personally identified with. And now having met you, I feel assured the website sincerely reflects the heart and mission of the church. So thankful. Lisa: I've always felt intimidated by the Bible. I never picked up to actually read it. I learned to take it one small step at a time and that I'll learn more in a group. My faith has always been "child like". I've learned that a more fact based, intellectual faith is a good thing. My faith is gowing... plain & simple.